Yesterday and today have been official snow days for us. It’s been beautiful! And we’re loving sitting in the new room we finished this fall and staring out the big windows at the squirrels and cardinals, bluebirds and tufted titmouses, gathering food and playing in the winter wonderland that is South Carolina right now. And they’re not the only ones playing; the neighborhood children have been sledding on any flat surface they can get their hands on. And since no one’s driving out there, they’re sledding right down the middle of the road, giggling and guffawing. Yesterday, we started the day by making Eggs Benedict–Bryan’s practicing his Hollandaise Sauce for his mid-terms. I read An Introduction to the Chinese Mainland Soul. It’s a short book, but worth the read, and a fascinating cultural insight into the Asian culture and mindset. Today I’m reading Teaching in a Distant Classroom: Crossing Borders for Global Transformation. And while I don’t plan on teaching overseas anytime soon, it’s always good to open your eyes to other cultures and how to relate to people who see the world differently than you might. Now, it’s back to reading for me. Enjoy these last few hours of glorious white powder, as I hear the sun is coming out today to melt it all away. And maybe read one of the articles listed above–you won’t regret it. The last few weeks could be characterized by copious amounts of coffee accompanied by fabulous fellowship and foodie adventures, intermingled with thoughtful musings on articles and video clips. Check it out below. Had another wedding today. Picked up the various pieces on Wednesday, started working on them on Thursday night, and finished up Friday morning–and actually got a full night’s sleep on this one! This weekend’s wedding flower lineup included white hydrangeas, calla lilies and roses, blue delphinium, purple statice, peach wax flowers, green hypericum berries and grass…oh, and blue thistle!! It turned out to be a beautiful combination! Here’s a sneak peek. I’ll post professional pics soon. More house projects. A FaceTime “coffee chat” with one of my best friends, Katie. Church. And a “breakfast for dinner” get together on Sunday night as a send-off for three of our friends who are moving away from Greenville–two to work with a church in NC (while the husband pursues ordination with the intent towards chaplaincy), and the other to teach English abroad. It was a really good time…though we will miss our friends. On Monday, a friend from church dropped off their first batch of eggs from their farm! Of course, that automatically meant I “had” to have eggs for dinner. So we made a batch of sausage gravy and served it over toast with a farm-fresh omelet filled with onions, peppers, goat cheese and basil, topped with arugula. So delicious! You know the eggs are fresh when they yolks are perky and deep orange. I was super excited to start getting these each week…that was, until a coyote (or neighbor’s dog) got into the chicken coop. Sad day…because these eggs were amazing! We savored egg dishes the rest of the week! I had some perfect peaches, so I decided to make peach pie to share with our Shepherding Group. It turned out pretty good, but I’m still working on my pie not being too runny. After Shepherding Group on Wednesday, I made stuffed peppers for the first time in ages. I found several recipes online and adapted them to be my own unique creation–recipe here. On Thursday, I heated up the stuffed peppers and took them to lunch with my friends Shannah and Annette. Annette brought a corn salad and a cucumber salad; Shannah shared a fresh spinach salad with homemade maple vinaigrette and homemade peach pie with latticed crust and all–it was perfect! I had plenty of leftover stuffing left that didn’t go in our peppers, so on Friday, I used them to fill hard corn taco shells–and they were fantastic! I topped the tacos and stuffing with fresh arugula, cilantro, and a dab of sour cream, along with the avocado sauce. Friday lunch with an old high school friend that I was recently reunited with through work. Had our friends Kevin and Melissa over for dinner and games–recently we’ve been playing a lot of Dominion with them, but tonight they taught us a new game, Elder Sign–which is really fun! (Definitely on the Christmas wishlist 😉 ). Saturday was more work on the house. Helped the couple moving to NC pack up a bit and said final goodbyes (not that we won’t see them again soon). 😉 Lunch with my folks and sister–my parents were picking up my sister’s boys for a few days at the farm before school started. Then ran some errands and ended the day with having my sister Michelle and her husband Alan over for dinner (with only the new baby girl). 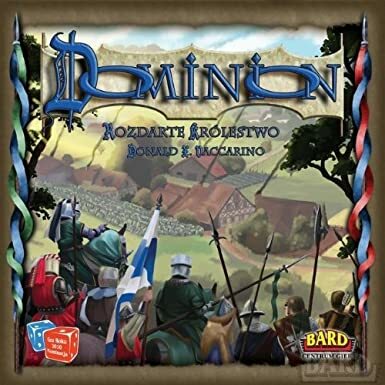 We just made simple sandwiches and she brought some potato salad–and we taught them to play Dominion. It was a lot of fun! We should do that more often. First Sunday not teaching in the children’s ministry for several years. It was kind of weird trying to figure out which Adult Life Application Group we fit best into. We ended up in Marriage Foundations, since we know a lot of the people in that class, and we really enjoyed it. We want to visit a couple more before we make our final decision–though any of them would be really good, I think. Read a really good article on marriage: God Loves Odd Couples. Marriage isn’t about being “perfectly compatible”…it’s about reflecting Christ. Very encouraging article. Tuesday, I had my semi-annual dentist appointment, followed by a free birthday cupcake from Chocolate Moose–no, I didn’t tell the dentist where I was headed after my cleaning, and, yes, he did tell me I won a “mouth of the month” award! After work, I went on a long walk with a good friend, Jan. She’s a fantastic young mom of two and even though we aren’t able to get together as much as we’d like, every time we get together is always refreshing and uplifting. Wednesday night after church, I had two friends over. Great night of fellowship with sisters in Christ who love Jesus, the Gospel and the power of Redemption! Enjoyed precious gifts of conversation, edification, good coffee, and orange cinnamon rolls. Thursday night was dinner with some more friends, Ben and Ashley, whom we haven’t been able to catch up with in forever. Forgot that the 2 1/2 cups of coffee that I drank at dinner tonight was NOT decaf. ‪Fail. Progress on the house…windows and door are finally in in the new room! …along with framing, wiring, insulation, and subflooring! Plus new white posts instead of green rails on the front porch! More to come, but excited for the progress so far! Sunday, we stopped by Panera and Starbucks for breakfast before church (wanted to use my free birthday drink). Caught up with several friends at church. Afterwards, we used some more birthday “freebie” e-coupons (World Market, etc. ), then lunch with Bryan and an evening of hanging out…just the two of us! It was kind of a perfect day! Today I turned 32 years old. And the word that comes to mind is…blessed. I had a fantastic birthday! Tim and Debbie took me and Bryan out for lunch today, my friend Tami brought by a cute little flower pot to the office, the sun came out, and Bryan’s taking me out again tomorrow night for a nice dinner…plus lots of phone calls, messages, and emails that made me feel loved and appreciated. So thankful for the family and friends God has brought into our lives. As you can tell if you read the above post, it’s a busy stage of life for us, but it’s so rewarding and fulfilling!